Toast the New Year or the Witching Hour with the Midnight Cocktail! This drink dates back to 1964, at least, as it’s included in the Old Mr. Boston de luxe Official Bartender’s Guide (28th edition) from that year. Other then that, there’s not much information on when or where it was created or even whether it was intended for a New Year’s Eve celebration or midnight parties. Now the original recipe from the above referenced guide calls for 1 ounce of Apricot Brandy and a 1/2 ounce of the remaining ingredients. You’ll notice I’ve amended the proportions below to match today’s typical serving sizes. In a shaker over cracked ice, pour 2 ounces of Apricot Brandy and 1 ounce each of Curaçao and lemon juice. Shake and then strain into your cocktail glass of choice or ideally into a champagne flute! How I like it: Here is a curious conundrum. The recipe calls for Curaçao, but Blue Curaçao is what is most readily available. Though the flavor is delightfully sweet, using Blue Curaçao is likely to turn your drink the color of unappealing antifreeze (which is a whole other drink)! Blue colorant is added to this orange-like-flavored liqueur and finding a bottle of Curaçao without the additive might prove daunting. 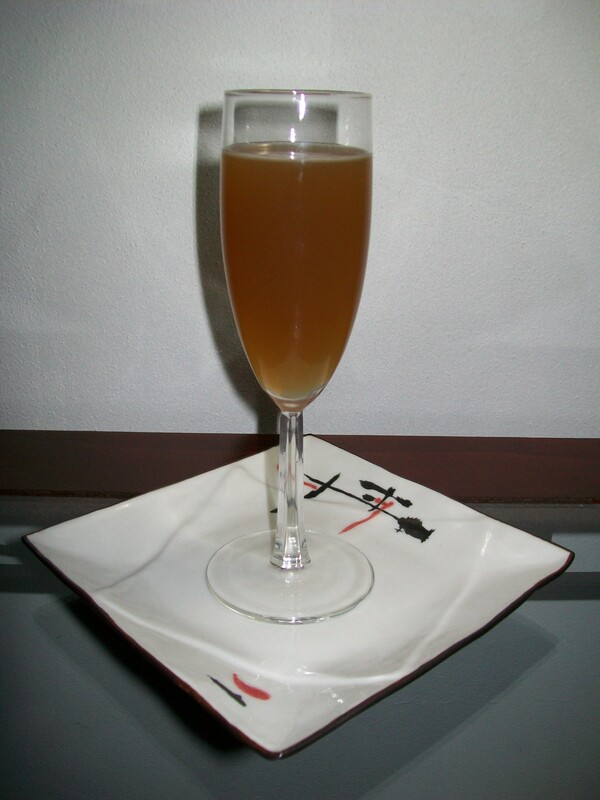 As a result, some modern recipes suggest using Triple Sec, considered a variety of Curaçao liqueur. I suggest, however, using a stronger component, Grand Marnier. The orange-flavored brandy gives a stronger flavor to be sure, but one that’s bound to warm you up on cold winter nights! Make a resolution to always drink responsibly!